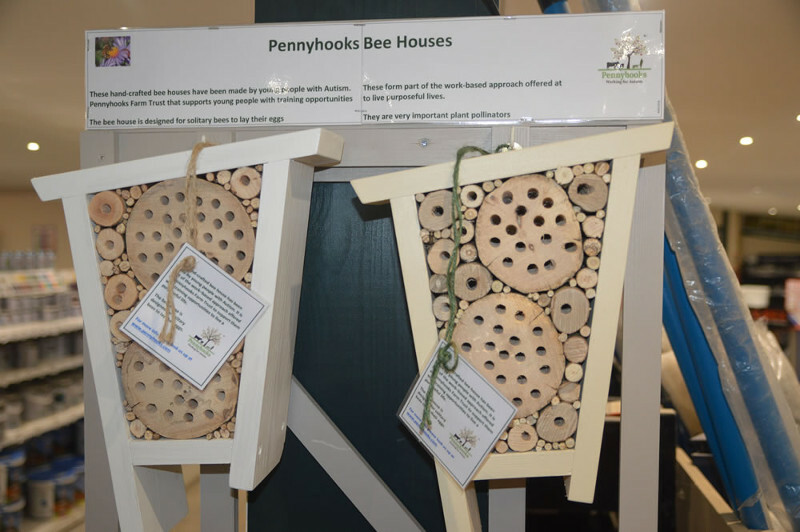 Hand made bee houses - all proceeds to Pennyhooks to help young people and adults with Autism Spectrum Condition (ASC). They are made at Pennyhooks - a small organic beef farm situated on the Oxfordshire and Wiltshire border that has been owned by the Otter family for over 60 years. Pennyhooks provide a unique experience for young people and adults with Autism Spectrum Condition (ASC). Priced at just £18 these make a great Christmas present for people who care about the environment and who want to help our bee populations to thrive.